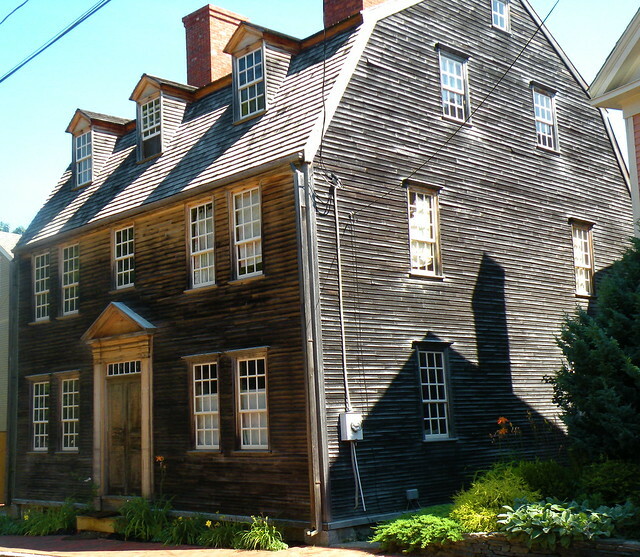 While on vacation, I’m digging into the archives to share some of my favorite New England posts. Enjoy! I started my day by driving straight up to Portsmouth, NH, which is a fantastic, quaint sea coast city. 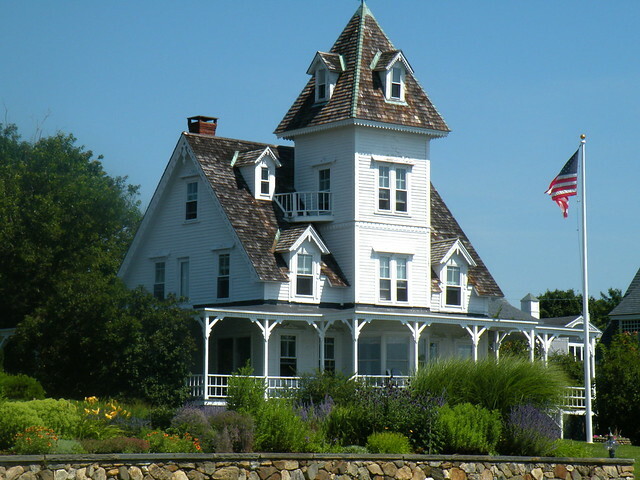 There are great little shops, restaurants, theaters, antique homes coming out the wazoo – what’s not to love? 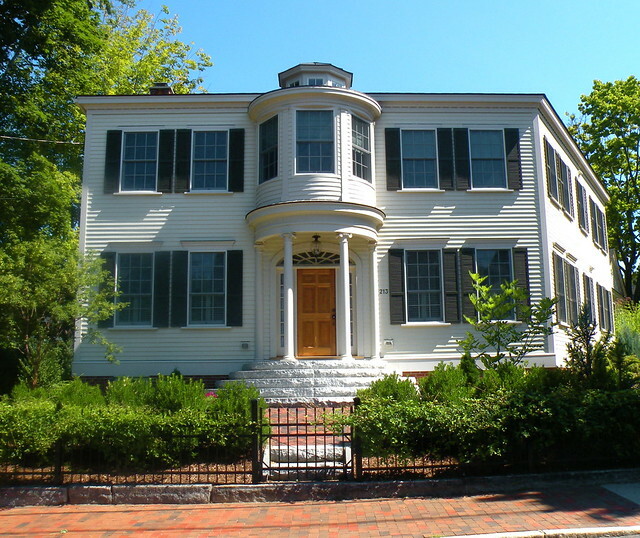 Portsmouth was settled in 1630 and incorporated in 1653. Always a successful shipping capital, the city is filled with gorgeous and colorful homes from all periods of American architectural history. One of the things I love about Portsmouth is the gorgeous colors on the homes. 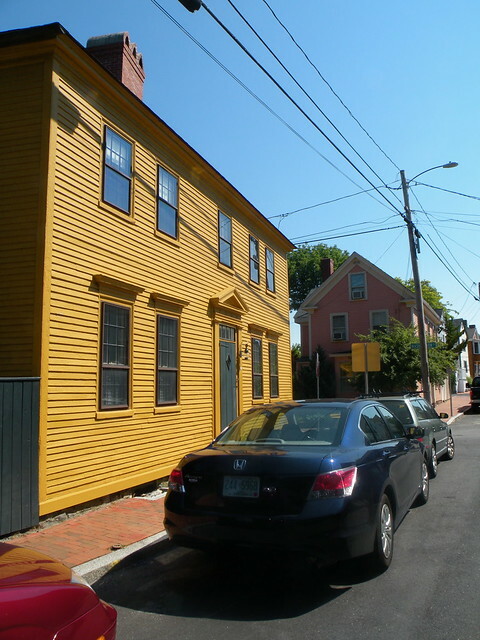 Not a city to stick to stereotypical white clapboards, beautiful colors like ochre and Nantucket pink (photo above) are common. 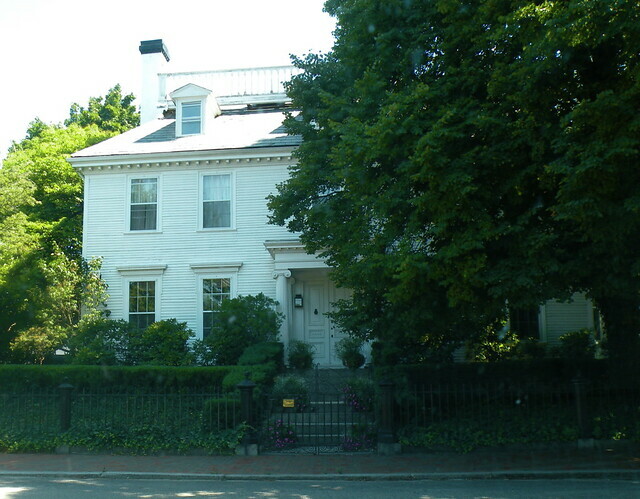 And yes, we do have some classic white clapboard homes such as this perfect example of the Federal style. 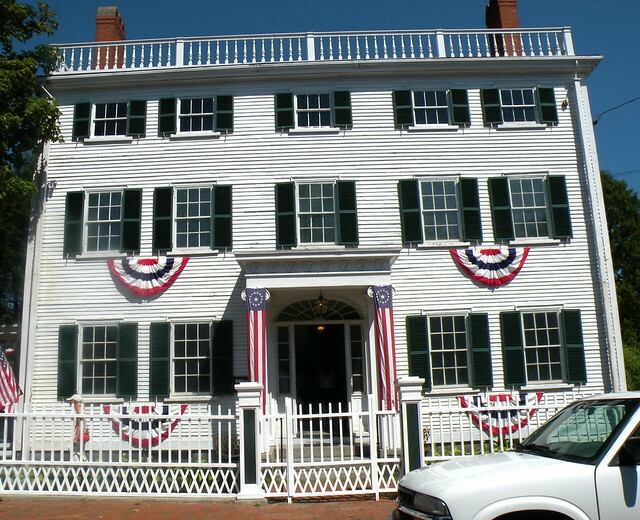 A row of Colonial homes. Loved this Georgian house peeking from behind the tree. Notice anything interesting about this house? The angle of the front is straight on, but we can still see the right side. A trapezoid house! 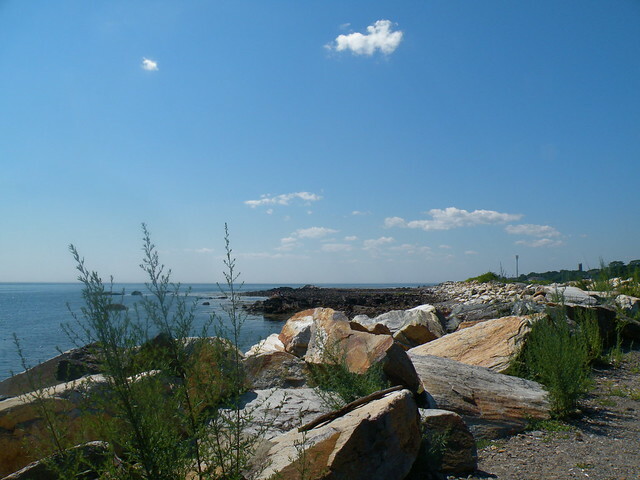 I didn’t have a lot of time in Portsmouth because I wanted to take the seacoast route (Route 1) down to Newburyport. 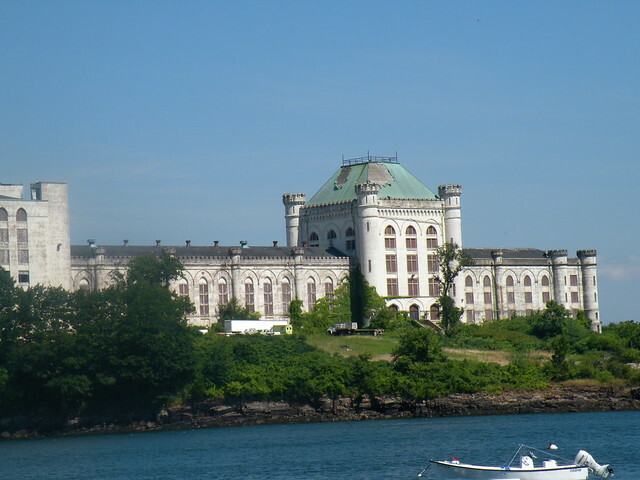 On the way I passed the Portsmouth Naval prison, located at the Portsmouth Naval Shipyard, which was built between 1905 and 1908 and occupied between 1908 and 1974. Known as “The Castle”, or “Alcatraz of the East”, it is still maintained by the Shipyard. It did looks like there was some kind of construction going on, so hopefully they are going to do something interesting there at some point. 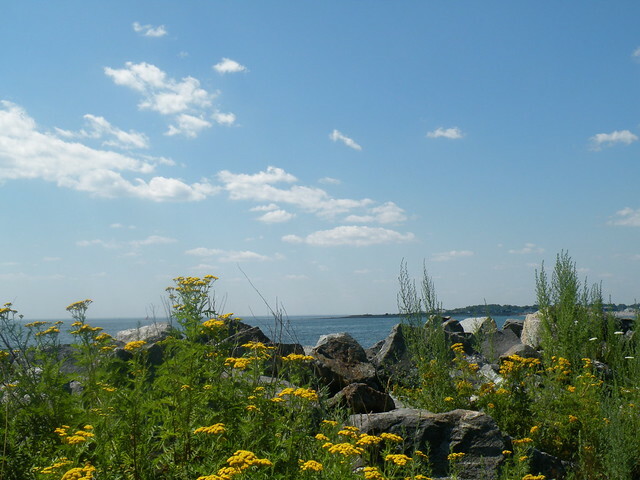 Just outside of Portsmouth is the small exclusive town of New Castle, which is actually an island. There are incredible views of the ocean all along the drive. 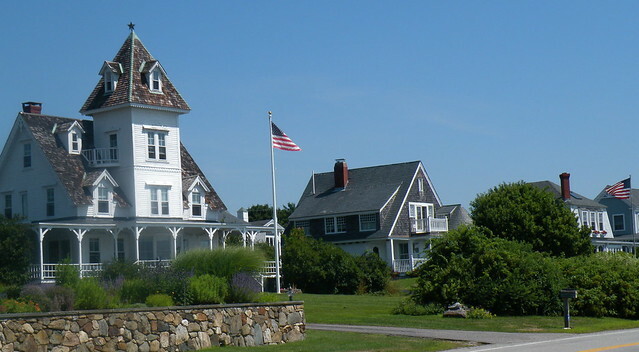 Some houses with great views of the ocean in Rye, NH.